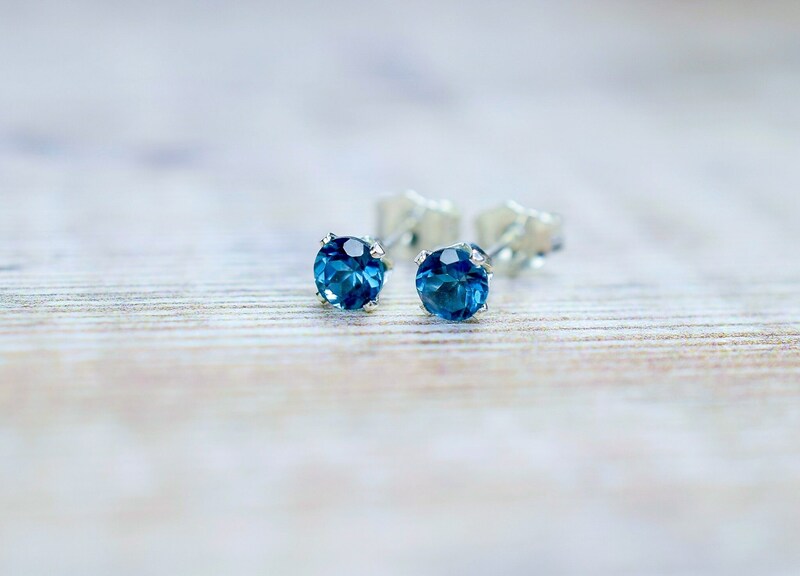 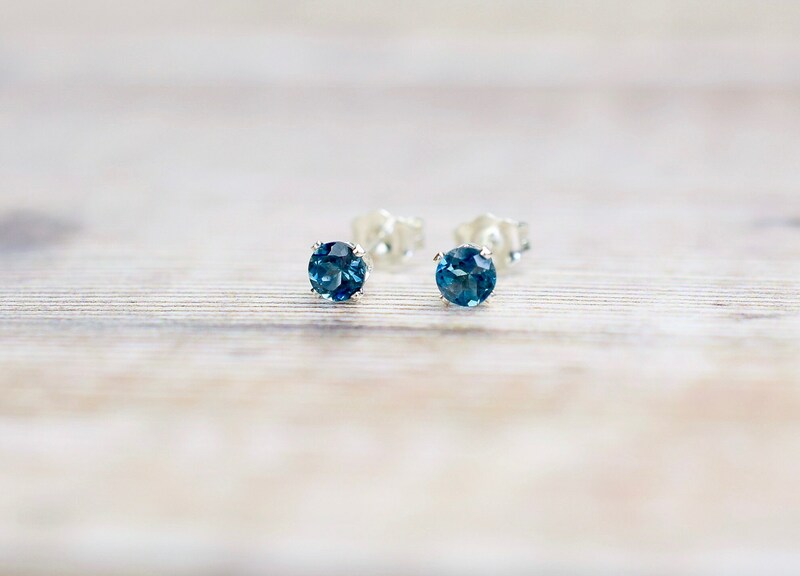 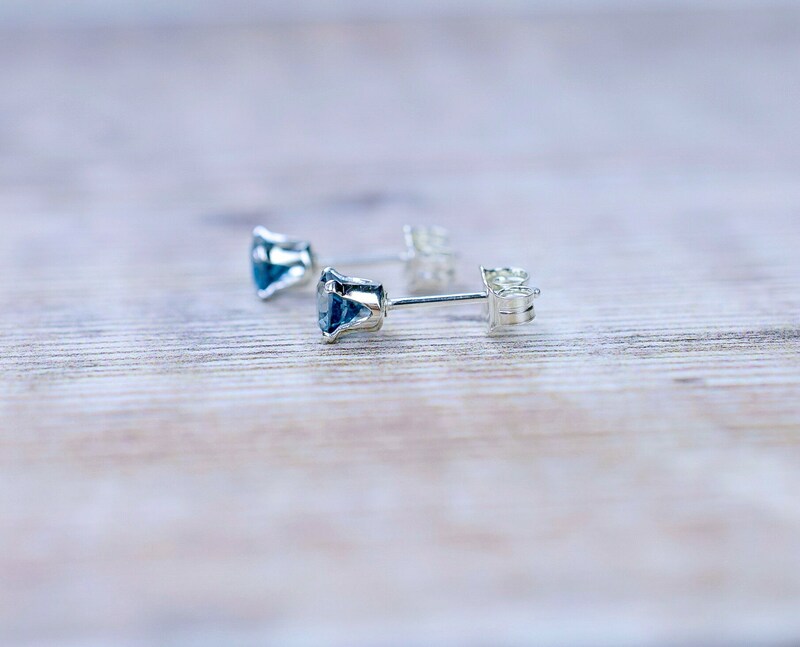 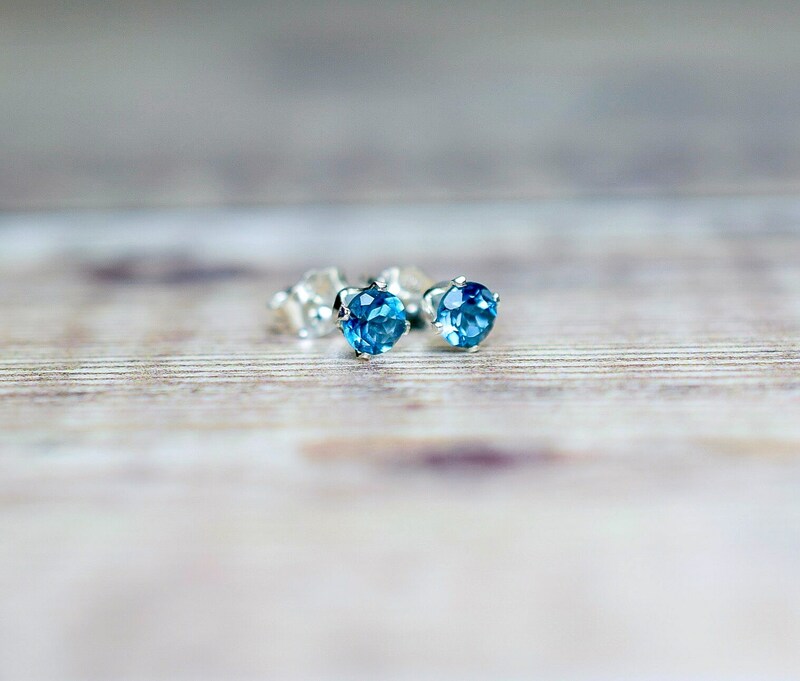 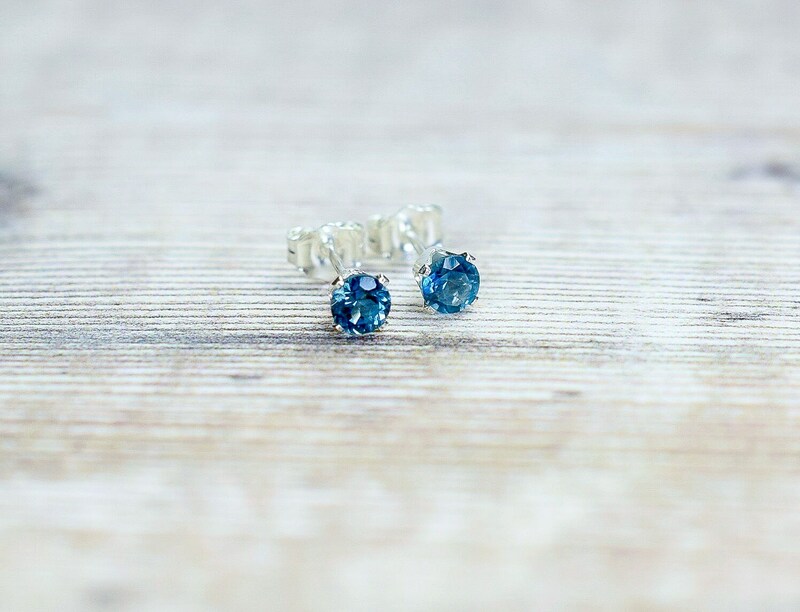 These chic London Blue Topaz stud earrings are made with vibrant blue Topaz gemstones and set in sterling silver claw settings. 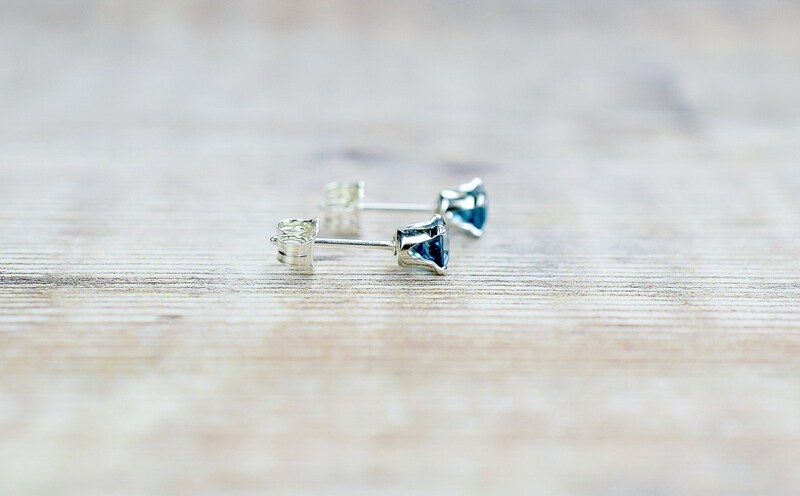 The earrings have butterfly scrolls which are also sterling silver. 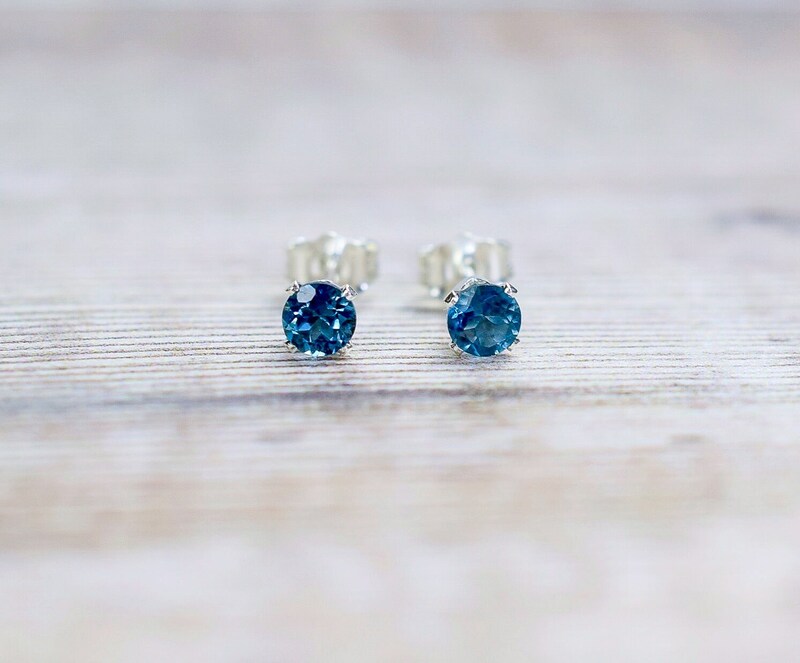 London Blue Topaz is the deepest, richest shade of blue to be found in Topaz stones. * The Topaz gemstones measure 4mm.